As indispensable/essential as ever for photographers: the portfolio. Which size? Landscape or portrait format? Principally, we produce books in any format and size. However, there are common or standardized formats for each field of application. These usually suggest either the landscape or portrait format. If these don’t suit your needs, a square format is a possibility. Standard sizes can be found in our price list. 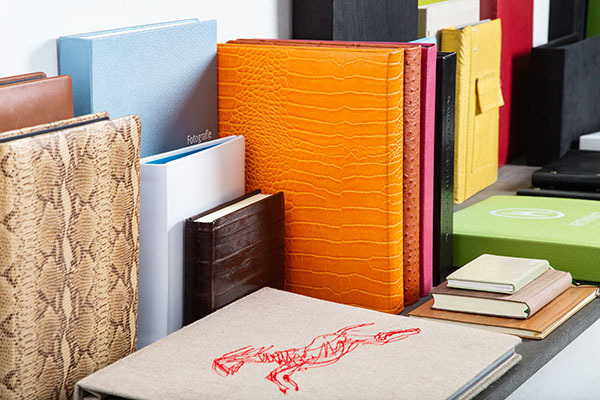 Our portfolios are crafted from high quality leathers (optionally in organic quality), linen or felt. We have a large array of colors and finishes to choose from. We also offer a fine array of leathers with crocodile or ostrich embossing, as well as real ostrich, eel or stingray leathers. If our available assortment of materials still leaves you wanting, you can also provide your own. 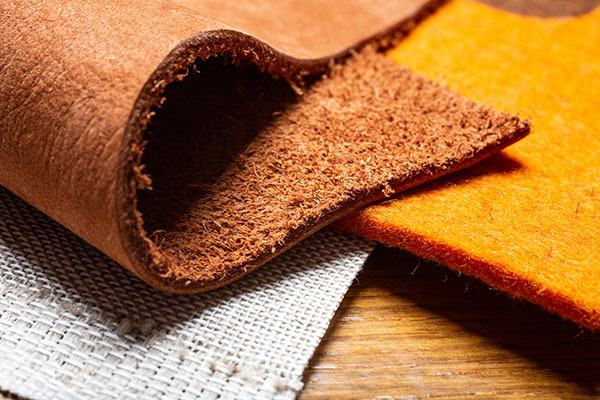 Whether it’s an air mattress or car mat, leather jacket or raincoat, tablecloth or curtain, car seat cover or tshirt, we can work with almost any material and integrate it into your portfolio. Plastic sheet protectors or paper? Whether the portfolio is to be filled with plastic sheet protectors or paper is a very individual decision, and must be made by each customer according to taste/preference. The manufacturing of the portfolio remains the same. Beside the standard DIN or inch formats, any desired format may be cut for you. 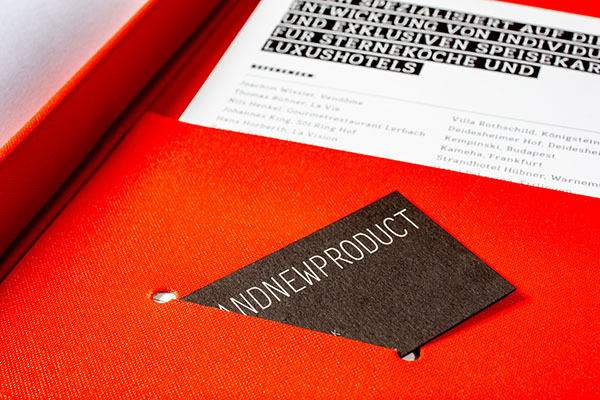 The contents of the portfolio (whether plastic or paper) are held together with a screwpost binding. The length of the screwpost depends on the desired fill capacity. 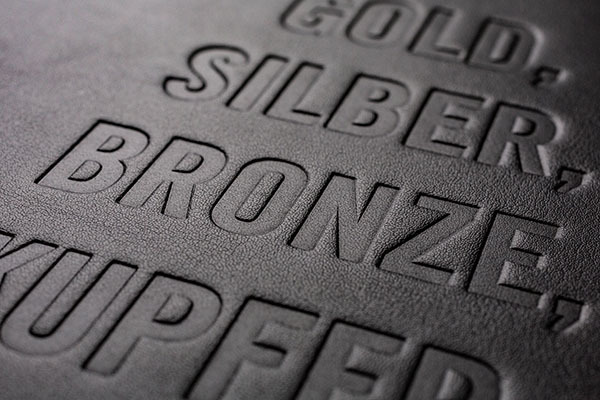 Embossing of a name or logo makes a portfolio distinctly personal and highly individual. You can send us a print document of your desired type font or logo. 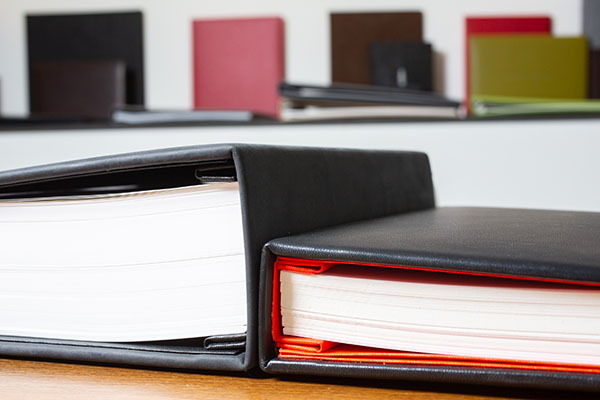 Embossing can be done on front or back covers as well as inside the portfolio. We also offer color embossing. Felt cannot be embossed, but can be personalized with silkscreen printing. 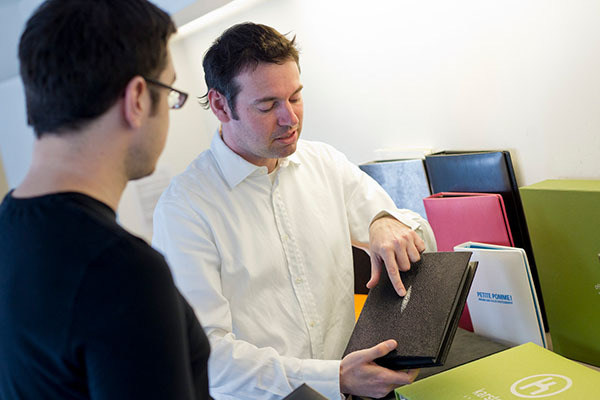 Each of our portfolios comes with a black interior, padded covers and a hidden screwpost binding. You have the possibility of a color interior, with a large array of colors to choose from. Every portfolio has a flat pocket inside the back cover. We can also add extras such as slots for business cards or an accordion pocket for booklets or CD covers. 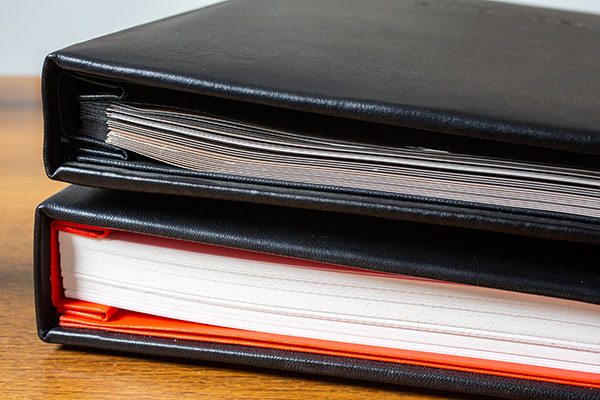 As an extra protection for plastic sheets or prints, you can have „fly-sheets“ inserted and bound by us at the beginning and/or end of your pages. Eyelet reinforcements are recommendable for large portfolios in landscape formats or for extremely thick portfolios. The matching bag to go with that? Our water-repellent nylon bags offer optimal protection. 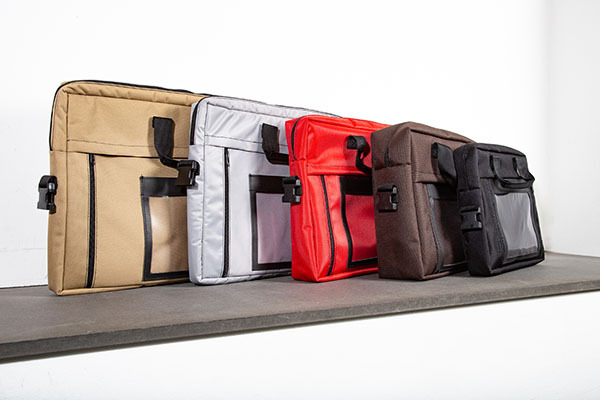 All bags are padded, and include a carrying handle and a removable shoulder strap. We have added a leather label with a clear window in DIN A5 size on the flat front side, this can also be embossed with a name or logo if you like.